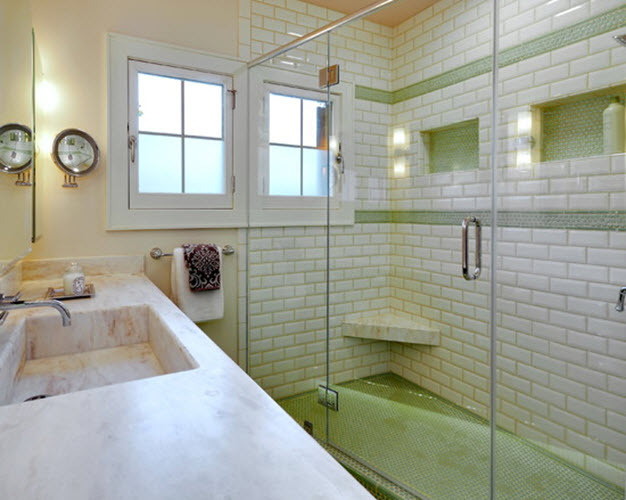 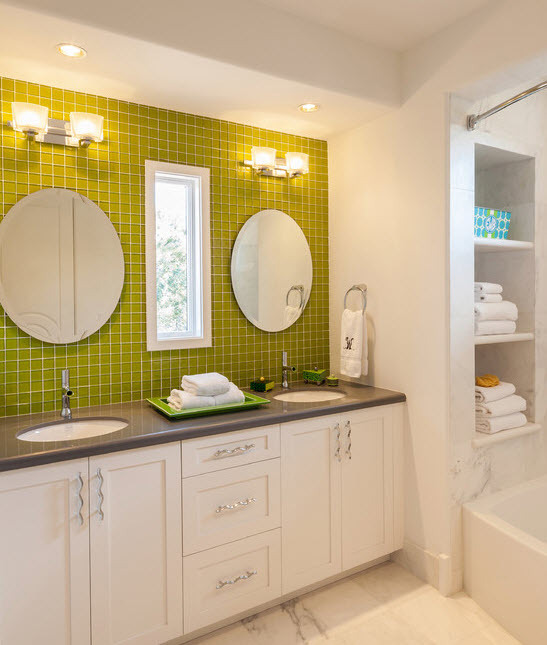 Bright colors are rarely used in bathroom remodeling – people usually prefer something calmer and warmer for a space where they like to relax and treat themselves like kings and queens. 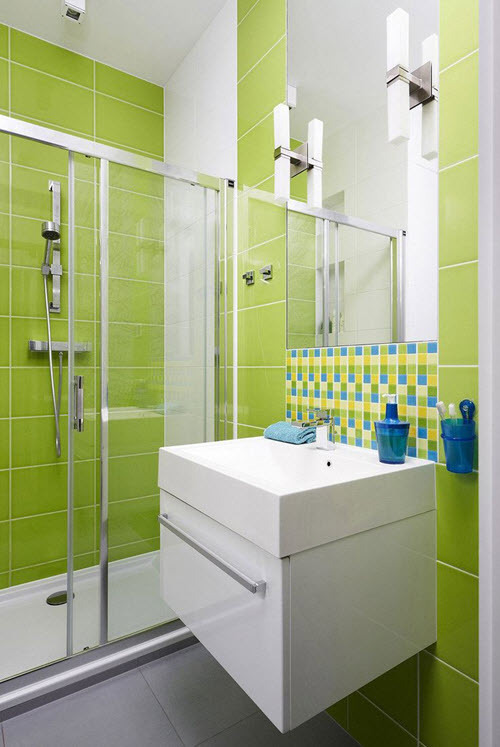 But if you are determined to go the other way and add some colors into your bathroom then you should seriously consider lime green shade for walls! 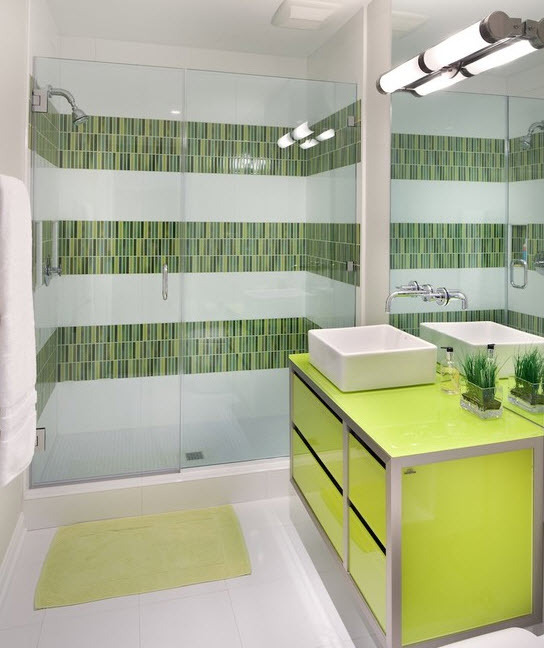 Yes, you heard it right, lime green. 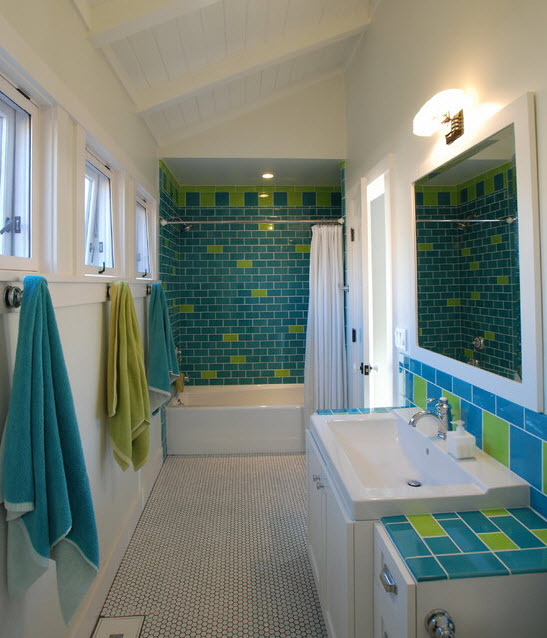 It is one of the most playful and bright colors imaginable. 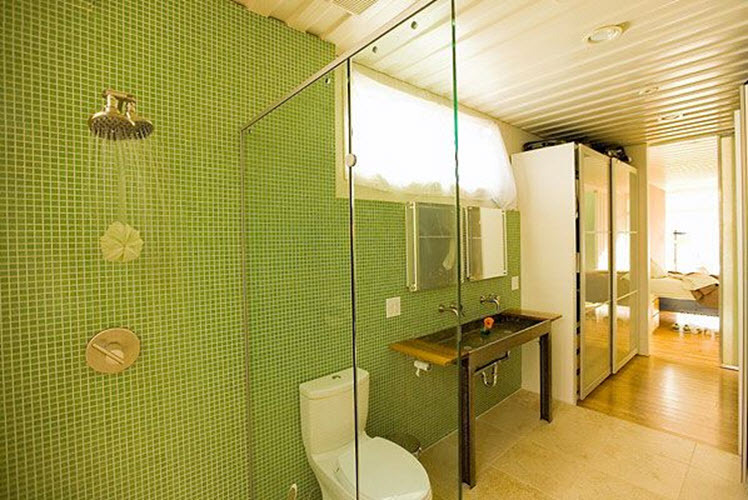 So, if you one of those people who are not afraid to live brightly then this is your option. 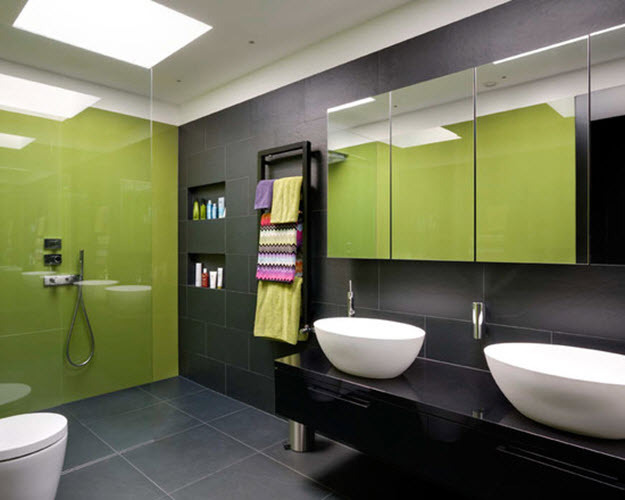 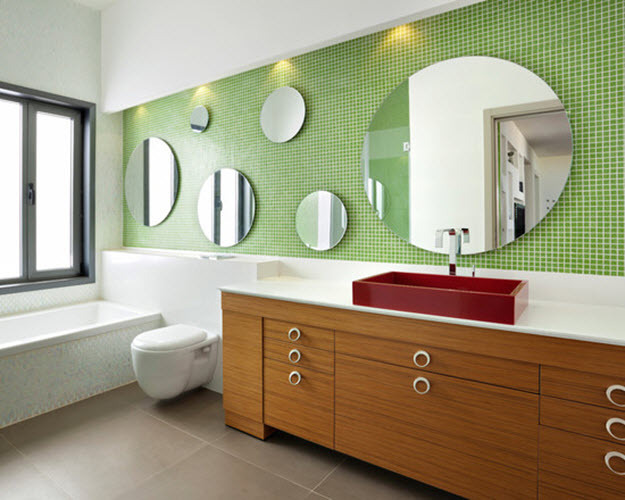 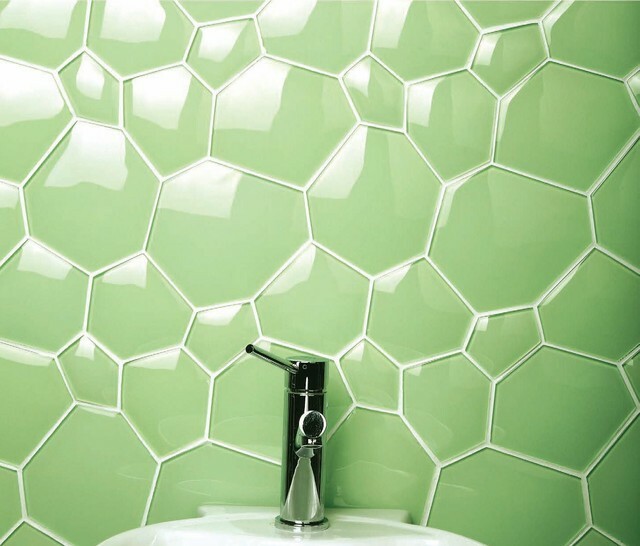 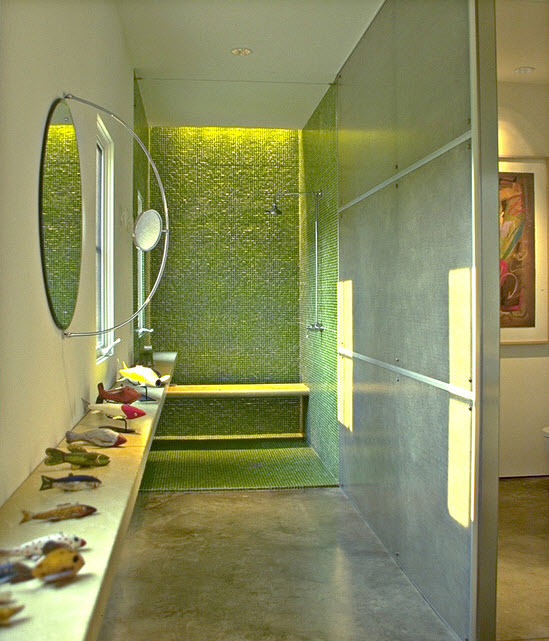 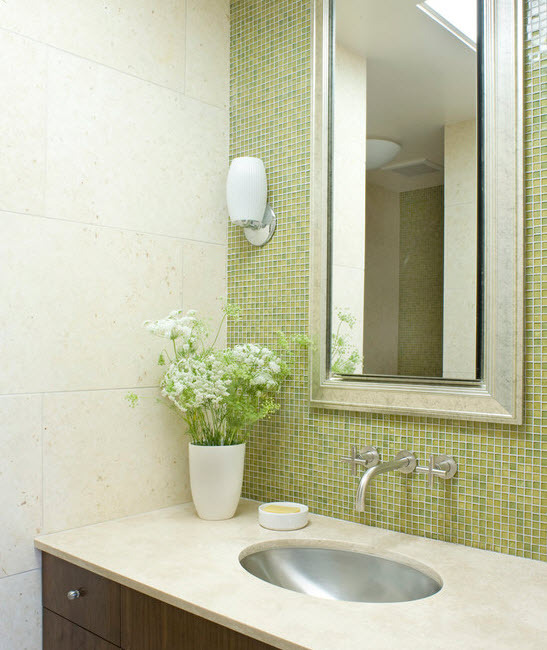 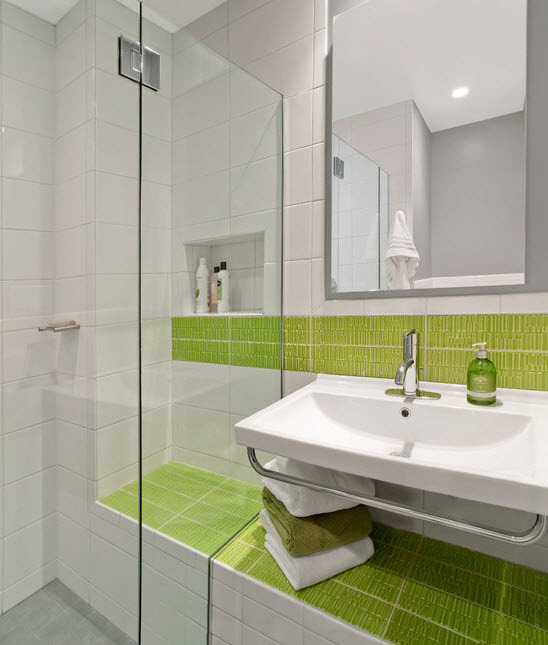 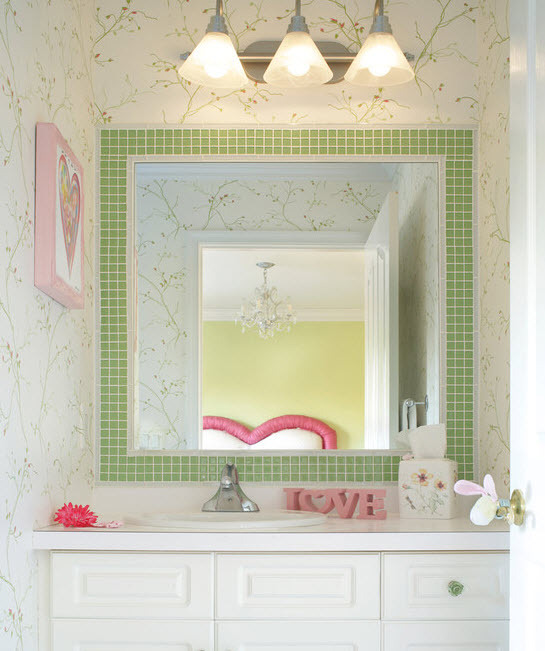 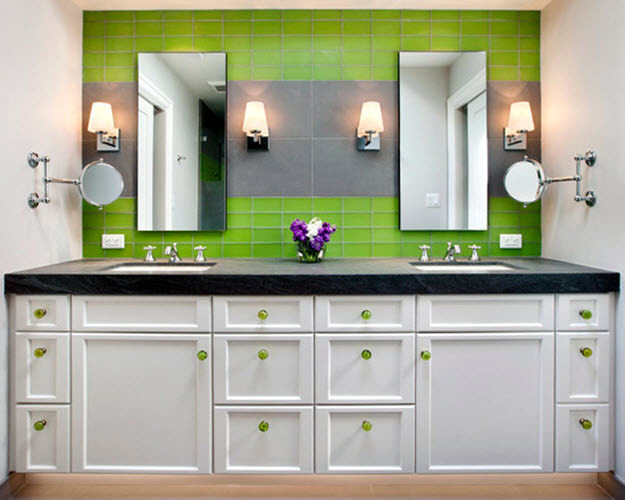 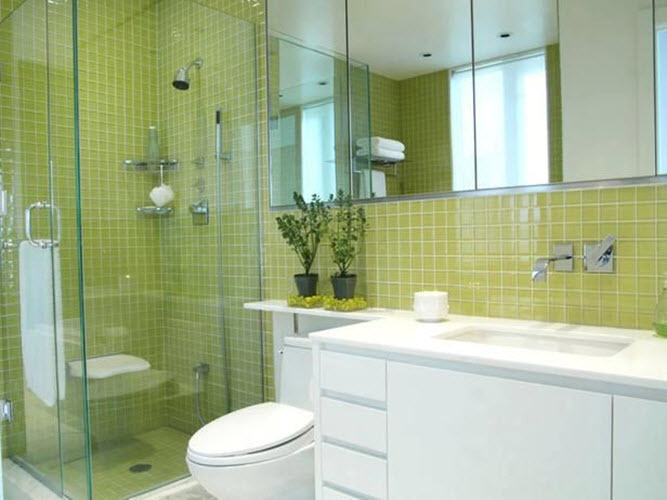 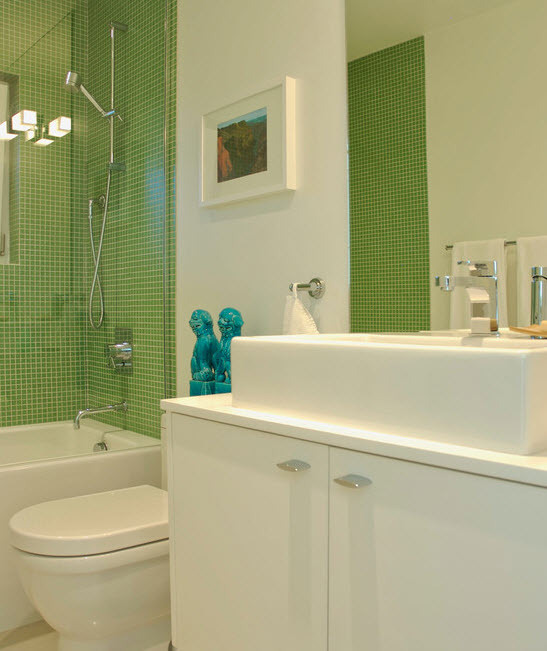 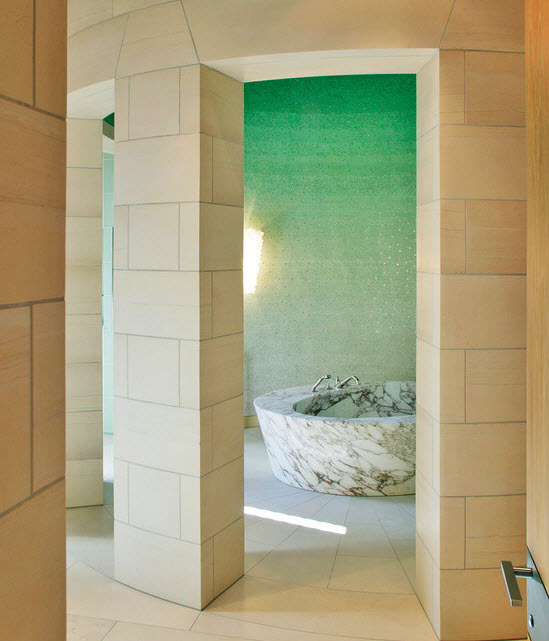 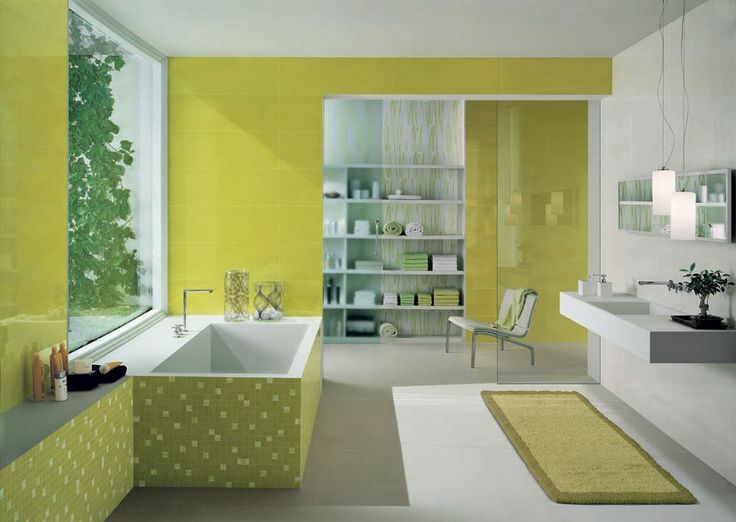 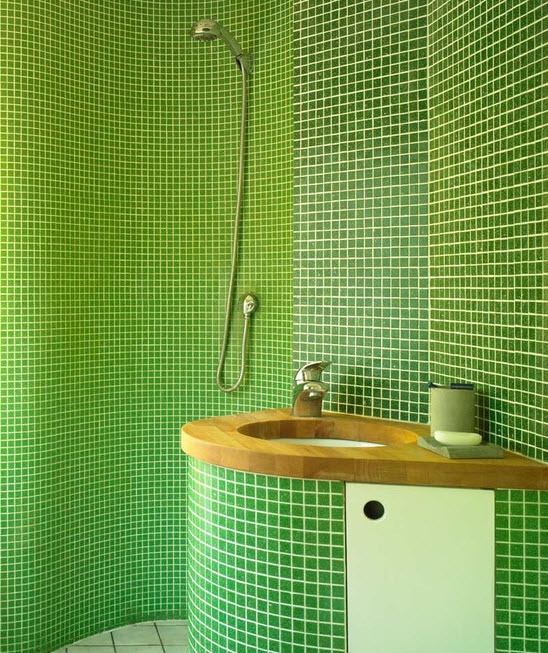 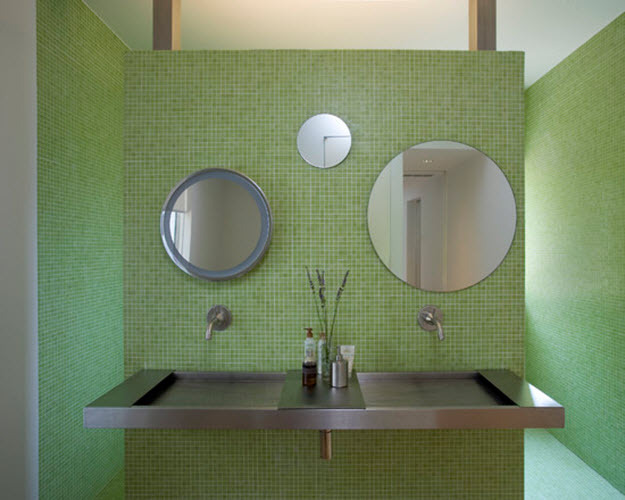 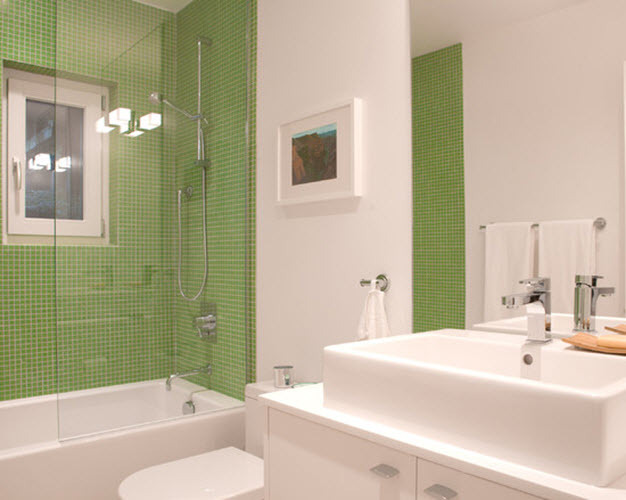 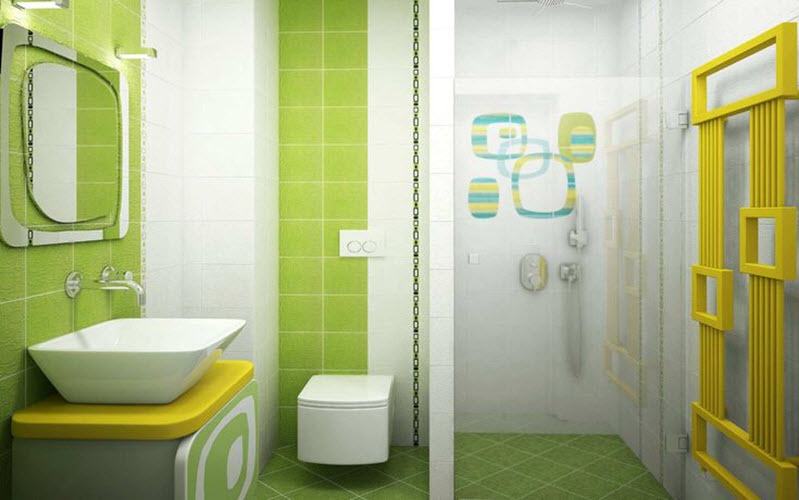 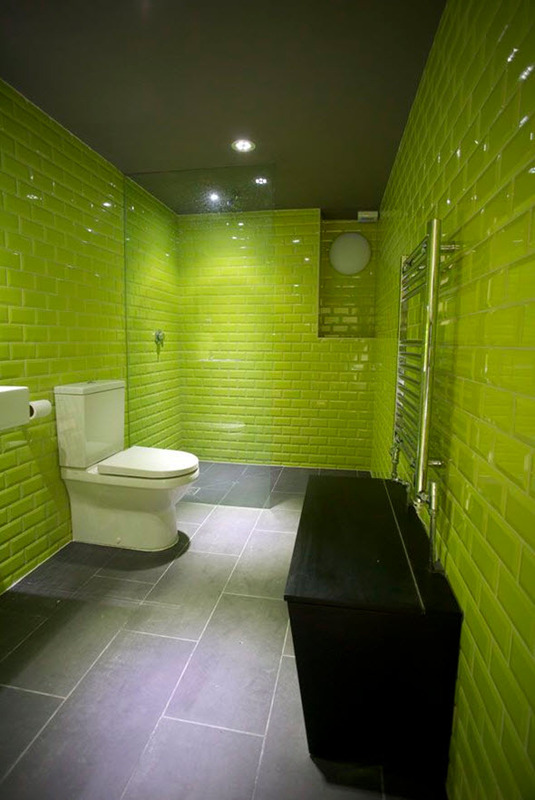 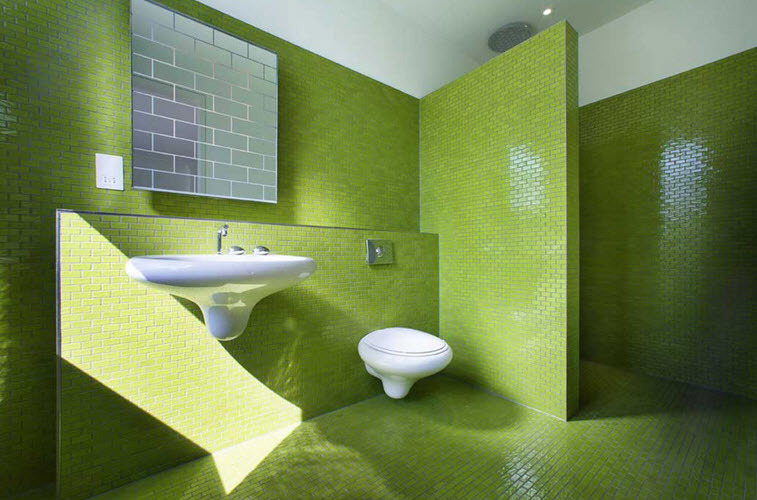 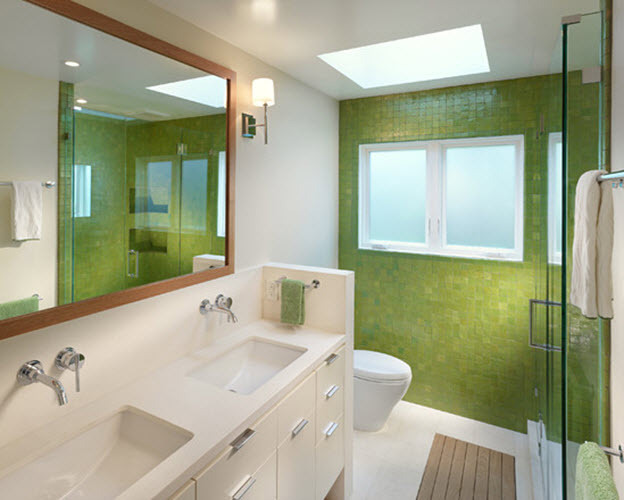 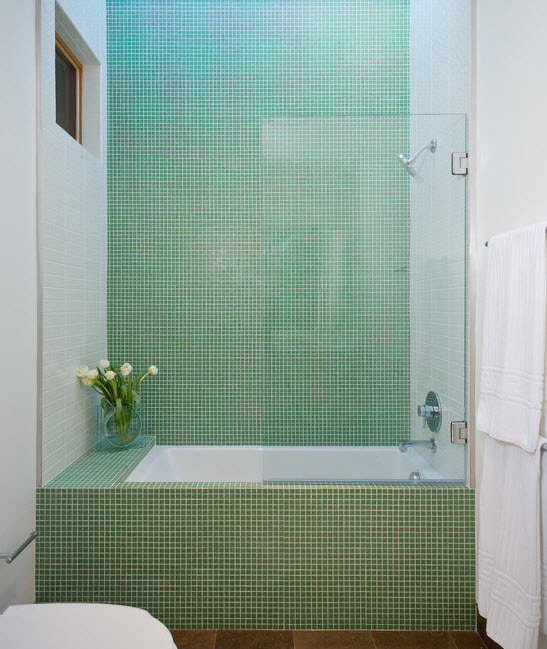 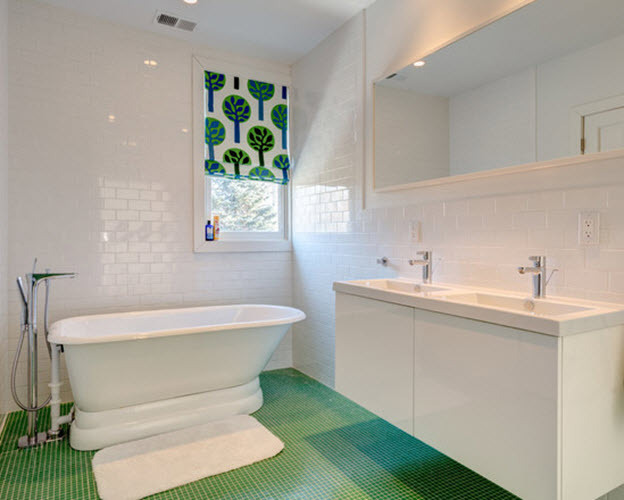 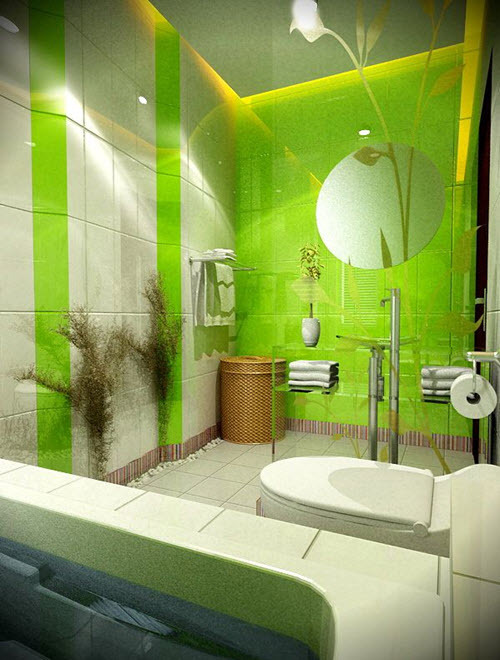 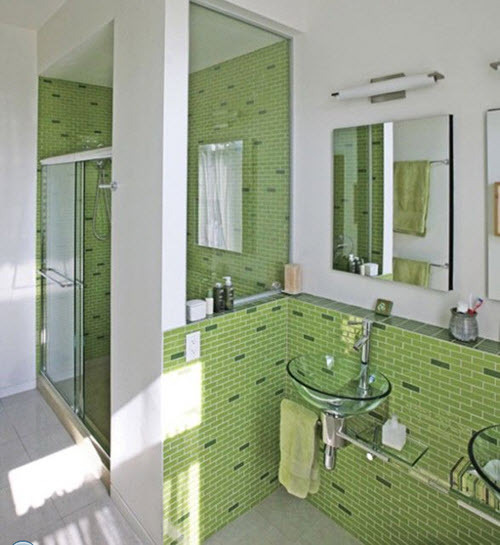 Lime green bathroom wall tiles can be of many designs, shapes and sizes. 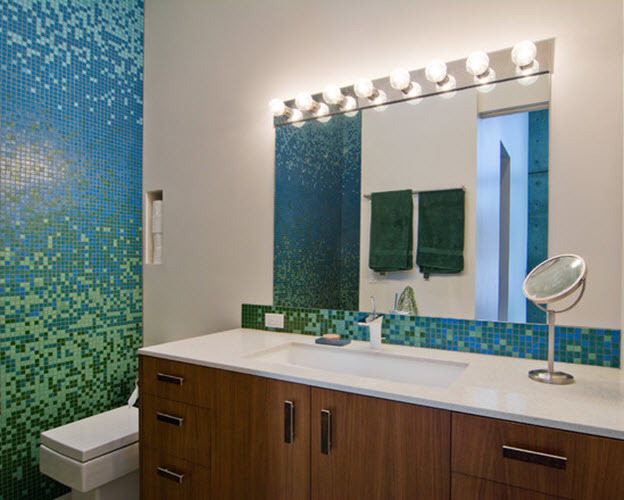 One of the best solutions here is mosaic – it would add to playfulness of bright color and help you make the room unique and one-of-a-kind. 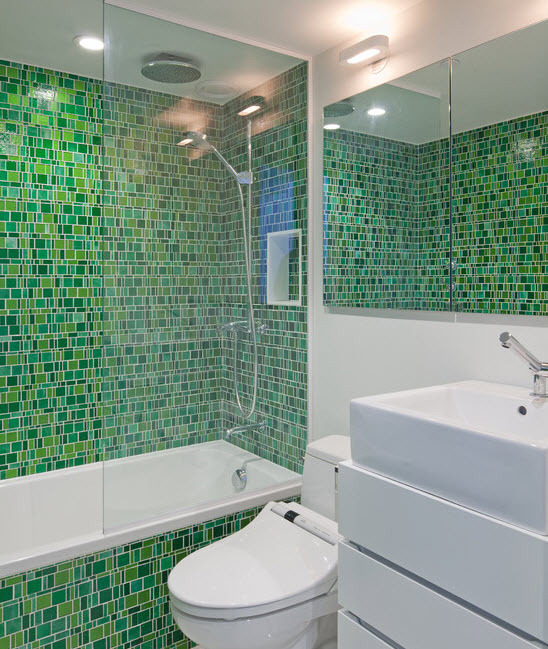 It’s better to avoid using lime green tile on all for walls otherwise you will have an eye-offending variant that you will tire of in several days. 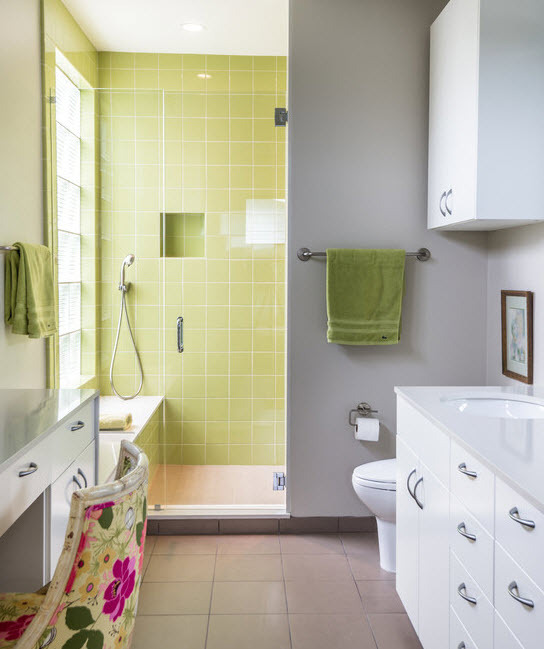 It’s better to add lime green to only one wall and make the rest of the interior white – thus, you’ll have a pop of color when you need it but keep the bathroom “mature” and elegant. 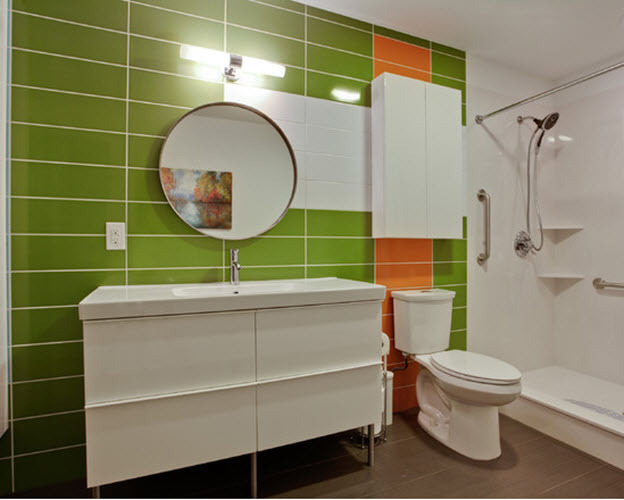 We hope our photo ideas below will help you make the right decision on how to bring a bit of color into your bright life and unique interior.